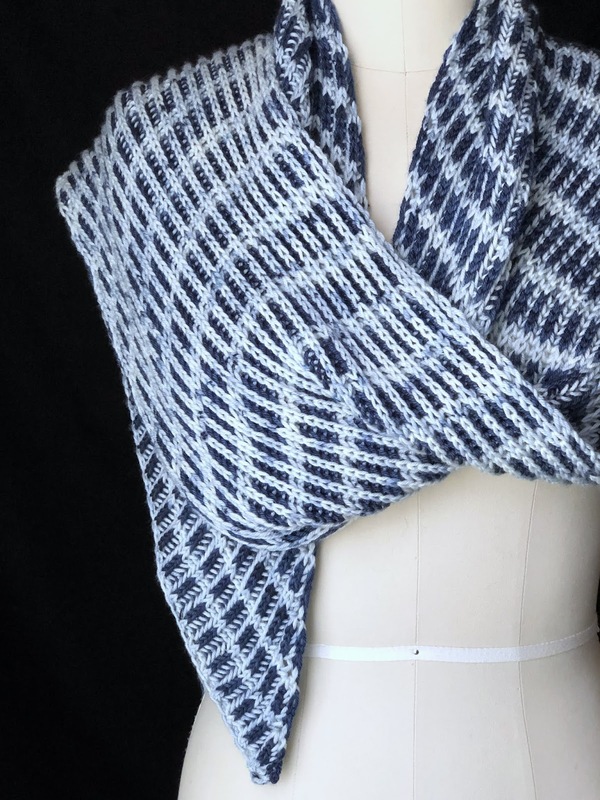 Introducing my latest knitting pattern, Brioshi! 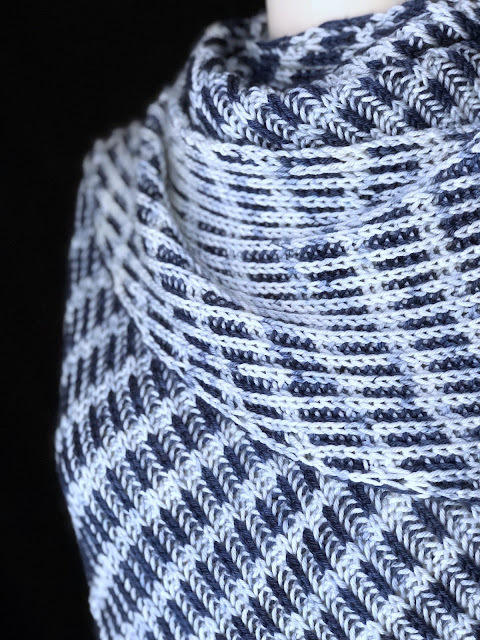 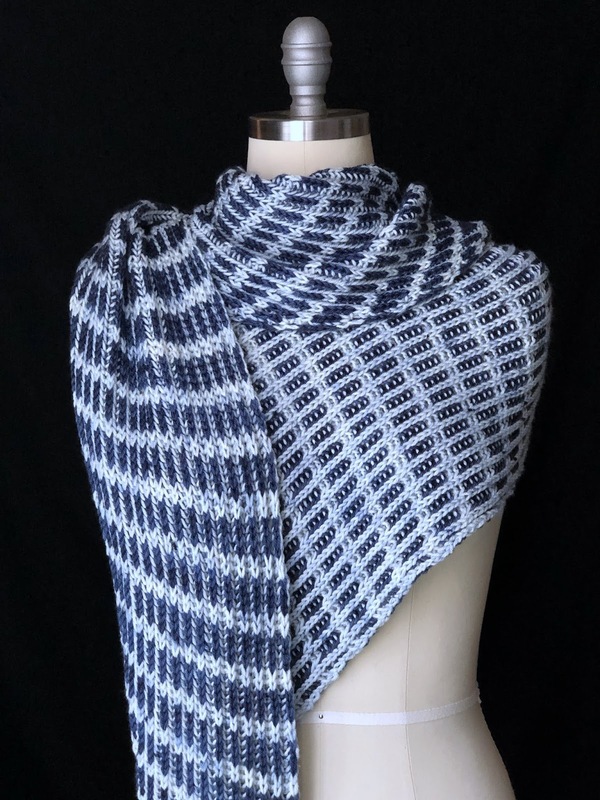 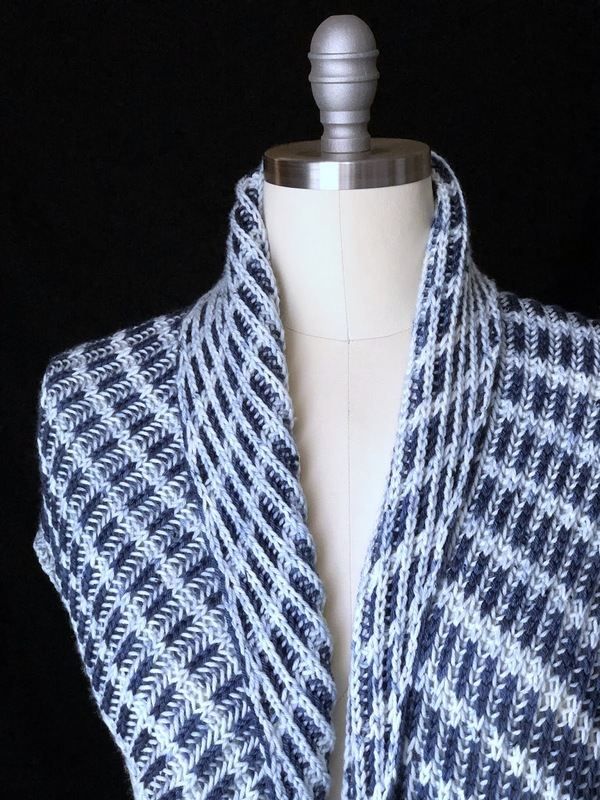 Inspired by the interrupted stripe patterns that emerge from the Arashi technique of Shibori dying, this asymmetrical triangular shawl is completely reversible with a dark side and a light side that are equally attractive. 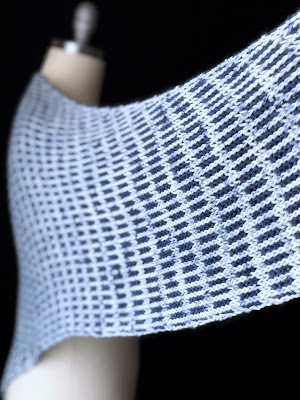 It can easily be made larger or smaller by simply repeating the pattern rows more or fewer times. 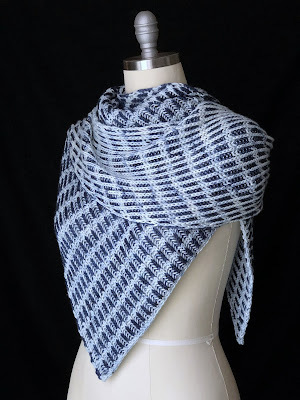 This shawl alternates between single-color and bi-color brioche. 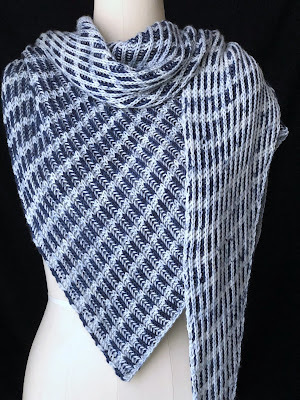 You will need twice as much yarn of one color as the other, but whether you opt for more light than dark or more dark than light is entirely up to you. 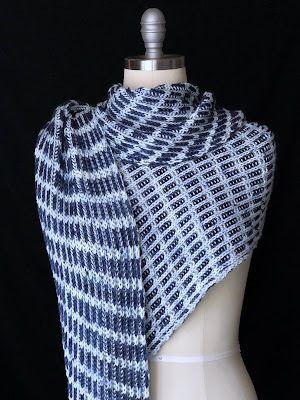 I highly recommend you take a gander at Apothefaery's offerings. Her Delightful DK used in the sample was delightful indeed, and many of her colorways are dyed specifically to pair well with each other.